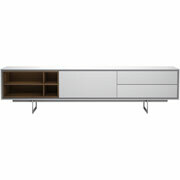 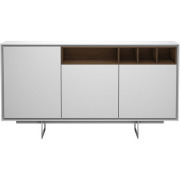 Add some elegant flair to your dining room with the Baxter Highboard in White Lacquer. 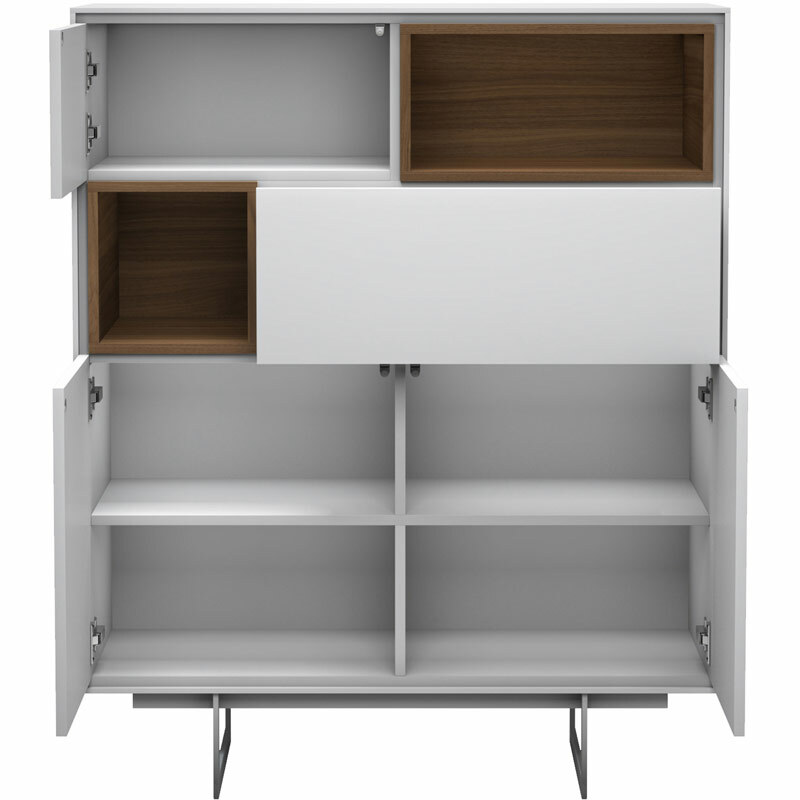 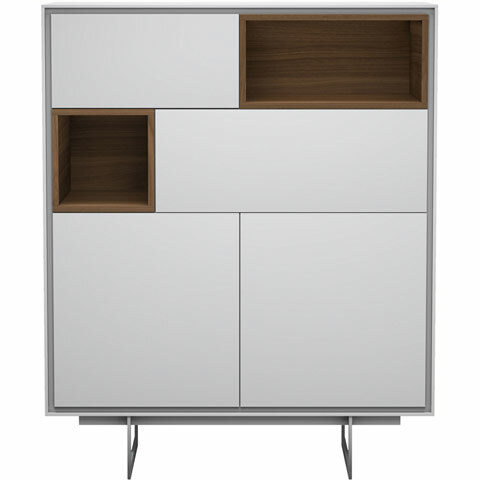 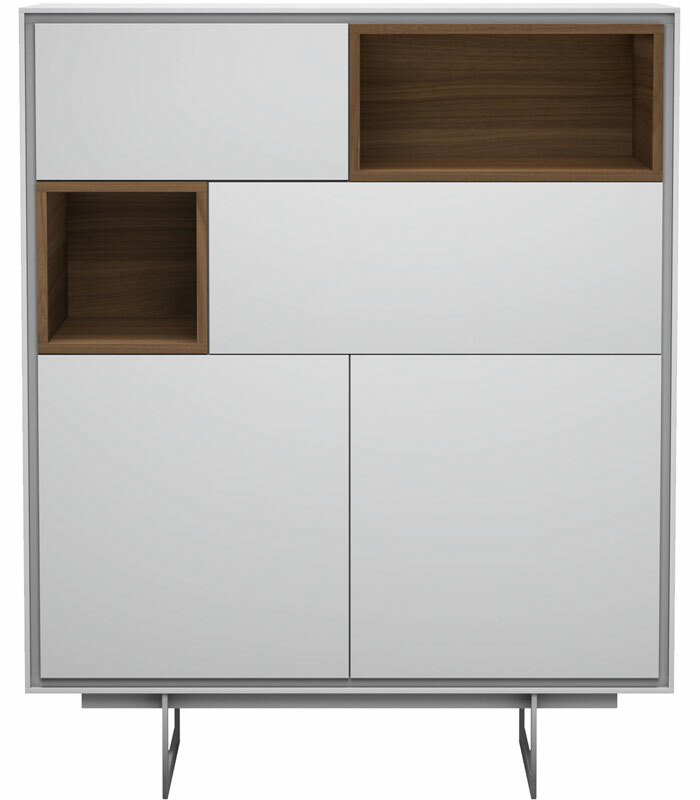 Three doored cabinets, a large middle drawer, and two open shelves with striking walnut veneer inbues the Baxter Highboard with both purpose and design. 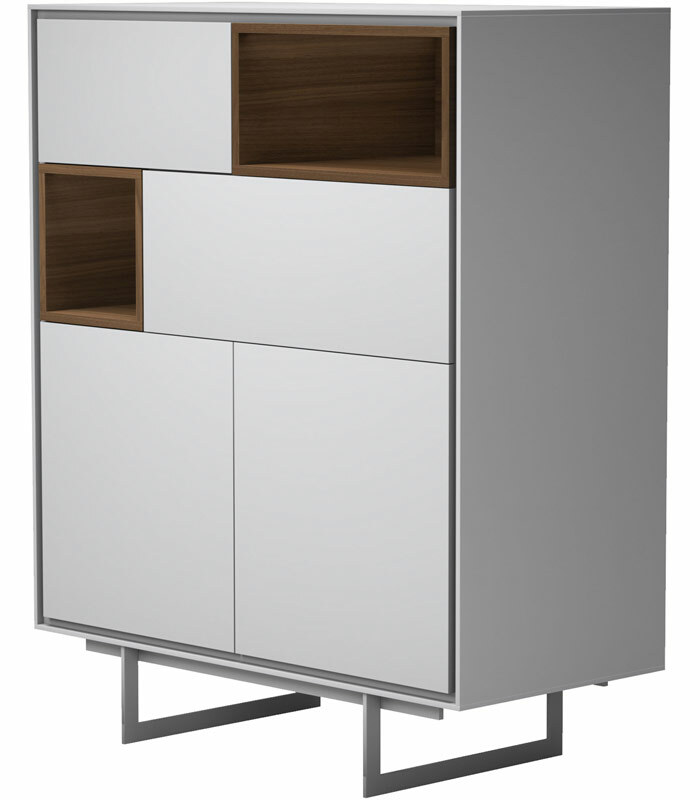 Below, minimalist powder-coated legs keep your dinnerware safe and secured.